I chanced to plot up the lower tropospheric temperatures by broad latitude zones today. 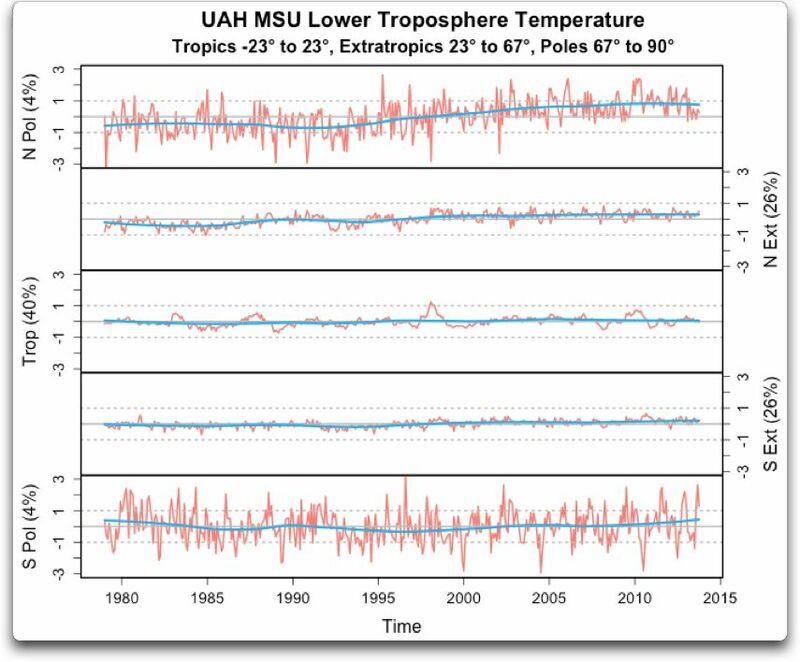 This is based on the data from the satellite microwave sounding unit (MSU), as analyzed by the good folks at the University of Alabama at Huntsville. Here are the results, divided into tropical, extratropical, and polar. I’ve divided them at the Arctic and Antarctic Circles at 67° North and South, and at the Tropics of Capricorn and Cancer at 23° N & S.
So … is this something to worry about?